Whether you're storing a cookie or some dry fruits, the ultimate humi-zip recloseable bag will keep all your edibles away from staling. 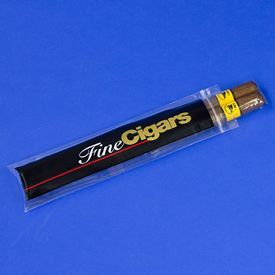 Freshness is all too difficult to find in the modern lifestyle, and therefore it can really annoy you, when your favorite cigar turns dull due to exposure to the atmosphere. 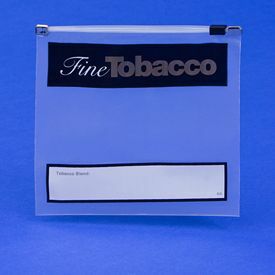 We understand your concern for your favorite cigars, and bring this wonderful cigar bag. 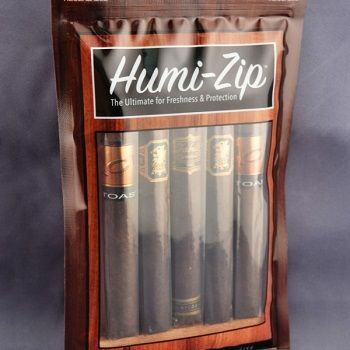 Our Humi-Zip reclosable bag is ideal for your cigars, as it can house a number of them in a perfectly sealed environment that protects their flavor. 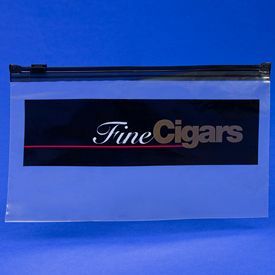 This excellent zipper bag is made with laminated plastic layers and uses LLDPE and nylon in its construction. The high quality zipper lock ensures that the contents are tightly sealed within the confines of the bag, and retain their perfect flavor. 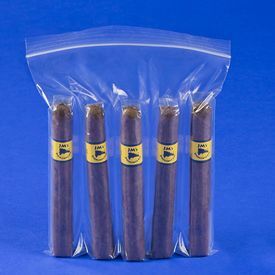 The great thing about Humi-Zip bags is that they are made from fully recyclable materials and therefore, are ideal for conserving our environment.